The Lord High Chancellor of Great Britain, or Lord Chancellor is a senior and important functionary in the government of the United Kingdom. He is the second highest ranking of the Great Officers of State after the Lord High Steward. The Lord Chancellor is appointed by the Sovereign on the advice of the Prime Minister. Before the Union there were separate Lord Chancellors of England and Scotland. The Lord Chancellor is responsible for the efficient functioning and independence of the courts. 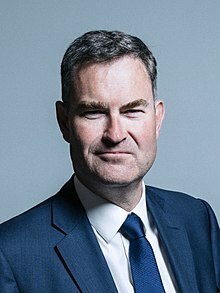 The current Lord Chancellor is David Gauke. Formerly, there were separate Chancellors of England, Scotland and Ireland. When the Kingdom of England and the Kingdom of Scotland united to form the Kingdom of Great Britain under the Acts of Union 1707 the offices of the Chancellor of England and the Lord Chancellor of Scotland were combined to form a single office of Lord Chancellor for the new state. ↑ The title can be pluralized 'Lord Chancellors' or 'Lords Chancellor'. The former is more common and is used for consistency throughout the article. See Gardner, B., (2001), A dictionary of modern legal usage, Oxford University Press, p. 538. ↑ Formerly he was also the presiding officer of the House of Lords, and the head of the judiciary in England and Wales, but the Constitutional Reform Act 2005 transferred these roles to the Lord Speaker and the Lord Chief Justice respectively. This page was last changed on 13 July 2018, at 00:12.